CAN WE HELP?Enter your details and we’ll be in touch. 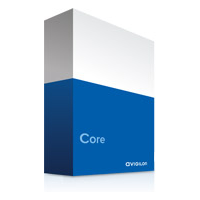 Avigilon Control Centre Core is the entry-level version of the company’s award-winning network video management software, delivering advanced high-definition surveillance capabilities, ease of use, and superior image quality to small businesses. Small businesses—including retailers, convenience stores, and small office buildings – face security concerns similar to those of larger companies but they are often constrained by smaller budgets and a lack of dedicated security staff. As a result, small businesses are increasingly looking for affordable, easy-to-use HD surveillance systems. A complete system for reviewing live and recorded HD images that includes one Avigilon Network Video Recorder, Avigilon Control Centre Core software, and up to 16 Avigilon HD cameras. Accommodates conventional and PTZ analogue cameras, as well as a broad range of third-party IP cameras and encoders, enabling a cost-effective migration to HD. Simple and intuitive user interface for full control over surveillance video playback to quickly retrieve evidence. Robust searching enables quick and accurate navigation of large amounts of recorded HD video with camera-specific event logs.